WWW.GORPUS.COM - Innovative, affordable and personalized web site design and development for Your Community Site! The Gorpus Team is a full service web site development company, based in United States (New York), offering web design and development services specializing in all Boonex Products. We can facilitate the entire process, if needed, all the way from domain registration, web hosting (through our partner hosting company) to site development at an affordable price. Want an eye-catching and fully functioning web site? Not a problem! We'll help you increase your online business. 10 years experience and ONLY happy clients! From simple to complex, we work with you! I have purchased Megan for about 10 days. It's fairly easy to integrate and customize. I had to change some code to customize the footer section. But that's about it. Everything else can be customized from Dolphin's Administration. Would be excellent if it is mobile friendly. I hope we can see this great splash page working smoothly with mobile devices soon. Thanks! Superb splash. Good look and work perfect. Professional support. ***** 5 stars for customer service. just wanted to leave an additional comment about this vendor. I asked gorpus to come back on to my site to customize quite a few things with the megan template I had previously purchased from him. once again the work was done in a highly professional and responsive manor and at a very reasonable price. he is a pleasure to work with and he went beyond the normal scope to make sure I was happy with the work. I'm so glad of worked with ''Gorpus'', They have and excellent customer support, they helped me too much to have the template perfect. I recommend all users that want to make or buy a template that work with ''Gorpus''. Going through my site, checking on what needs updated and figured i'd pay my respect to all the great developers that i have dealt with and Gorpus is one of them, great person to work with and great products. I call him speedy! I just have to say WOW! Gorpus's products and customer service are amazing, they go above and beyond for their customers! Great person and can be trusted a lot, thank you! Thanks it looks nice, great job! Super great and fast, thank you for all the stuff you have done, greatly appreciated!!! You are definitely ONE OF THE BEST!!! THANK YOU!!! 100 % positive! I bought GOO Template that gives me full satisfaction! Once again Tim came zooming into the site and became the Tasmanian Devil and did what he does best. Thank you Tim, always brother!!! I bought this template and it made my site look fantastic. beyond that, the vendor did some additional custom work for me. highly responsive and totally professional. I recommend this vendor wholeheartedly. Wonderful work. I’m really amazed. Congrats!!! Great work,I love the template as my members do. Tim is and was very helpful with the install,he truly stands behind his product. I highly recommend this one, the design is excellent, clear and simple. Plus the team are very good, they are friendly and the respond time and support to install the temp was fast, neat, and clean. Looking forward to your new stuff! I really like the fonts, color scheme and stylized header and footer of this template. I am fairly new to Dolphin, but this vendor was very helpful to quickly answer my questions fix my rookie mistakes. Simply AMAZING!!!!! YOU ARE THE MAN....QUICKER THEN LIGHTEN!!! SERVICE AMAZING!!! GREAT JOB!!!!!!!!!!! Awesome developer, quicker then light, just an awesome person! I bought a template which was not compatible with 7.1.4, but within a couple of days it was updated. After that Tim helped me with some customizations. Customer service is excellent! It's rare that you find people like Tim who are professional an dependable. Keep up the good work. Just sliding through and had to leave a review! Awesome service is all i can say! PEACE OUT!!! I had asked Tim to see if he can help me with a small issue and 2 others, in a matter of like hours all i receive was "Fixed" I think i will ask permission to call him "Flash." Great job Tim, holy moly this is what i am talking about quick and very knowledgeable ALWAYS!!!!!! I bought 2 templates on 2 different dates. I have to say that Tim is very quick, fast, and lets his clients know of every step or other options the buyer may have. He goes out of his way. I highly recommend him. GREAT JOB TIM & THANKS!!! 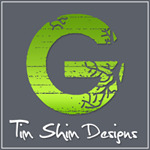 Words can not describe Tim's work, 2 templates i purchased and both are awesome!!!! His work is amazing and he is with you through every step!!! MUCH recommended!!!!!!!!!! I just bought this template and TIM is awesome!!!! Great work and works closely with you!!! AWESOME WORK TIM!!!!!!!!! GREAT JOB!!!!!! Tim at Gorpus has a very unique business practice. He actually provides above and beyond customer service. He created a great product, offered to install it (without charging additional monies), helped me customize it and even offered to help me with other site problems I was having. Thanks Tim. YOU ROCK!!! very nice template, and very goot support from Gorpus! Very great person to have a template from! Thank you Gorpus! I have to say that this gentleman "gorpus" is one developer that has really gone way out of his scope to enhance my site. This developer has really shown that he takes great pride in his work & templates!! I just love this Tim, once again you show your expertise. Its such a pleasure doing business with you, and anyone reading this should know this post is not a fake. I bought this and installed it on my test sign to modify it and it was really easy to modify with some tinkering. I also bought the splash page which I highly recommend. The splash page makes the site, I added lots of seo content on the bottom of the splash to bring in the traffic. I replaced the HP video with a photo in a just a few minutes. Although I installed it myself I did have a couple of issues and contacted Tim and he told me what I missed and I fixed it quick. My site has never looked better. see more I was using his older FB theme before upgrading to this new version. I could not be happier with the Yuko product. Outstanding design and implementation! This is one of my favorites from Tim. I was so happy to see this for D7.1. Thank you for the update and of course for a wonderful template !!!!!!!!!!!!!!! Great Work Gorpus. I love the Template. It is original that kind of style my site needed. This product is exactly what we have been searching for. We are a small independent christian charity who run a small social networking site. The customer support has been first class from beginning to end as well as the technical support in implementing the template and navigating any issues. The product itself is first class. We look forward to future updates and working with you again very soon. I bought this template and not only he installed for me, but also helped me with the modifications, I can't thank him enough! Great person to work with and great designer. I would like to add, Gorpus is another great developer that helps us in making our sites more attracting and versatile. He is quick, and cares about making sure his products work well on Dolphin sites. I bought the Berta template and it looks real nice. Thanks bro!!! I had nothing but an extreme delight working with Tim when we launched a site a couple years ago, he is an amazing person and actually I am about to contact him again as we are ready for the next project. I just purchased this template and it looks awesome!! Great job Gorpus!!!!!!!! !